WHAT WE FILIPINOS SHOULD KNOW: (Note: Bold and/or underlined words are HTML links. Click on them to see the linked posting/article. Forwarding the postings to relatives and friends, especially in the homeland, is greatly appreciated). There are times when we, the so-called educated class, talk among ourselves about the predicament of our homeland and our fellow native Filipinos-in-the-Philippines end throwing up our hands and saying ours is a hopeless case. One is reminded by the words of assassinated (courtesy of the Marcos Dictatorship) Senator Benigno Aquino: "The Philippines is worth dying for." Inquirer columnist Jose Ma. Montelibano emailed the below article which is pretty interesting and says much about the state of the Filipino mind in current/recent years regarding politics in the homeland. JoeM set me thinking when he wrote that "Filipinos were coming of age." To me, "coming of age" connotes something positive, such as an adolescent growing up to adulthood, of becoming more responsible. But when we witness mainly apathy from our people, most especially from among us so-called educated who ought to know and understand more the "scheme of things" and expectedly be more involved in acting and fighting for our "common good" and those of future native Filipinos, I say that we do not see the Filipino "coming of age," instead we see only cowardice (as JoeM correctly describes). And maybe the common good is limited exclusively to that of our so-educated class (of course, among whom belongs the socioeconomic/political elite). We witness apathy among the so-called educated (again that's us) because our main preoccupation is our selfish selves and our immediate family. To hell with the native majority where there is nothing for us ( "What's in it for me?" is our only frame of reference, consciously or unconsciously. That is why a lot of us so-called educated do materially well, legally and illegally, in the homeland, the USA or other foreign country). 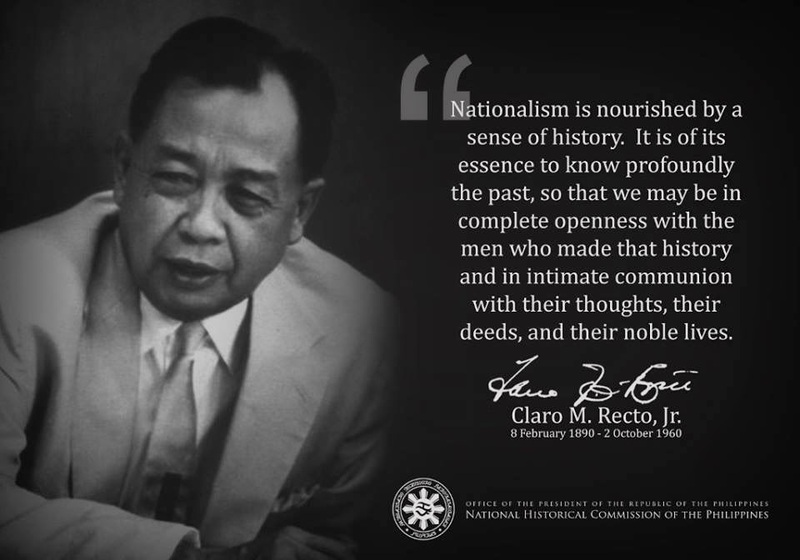 We the so-called educated are unconscionably proud to be survivalists, chameleons, opportunists, sycophants, quislings, etc., as copycats of the earlier generations of Filipino ilustrados and their descendants, us who licked/lick the Spanish boots -- then and now-- Americans, local Chinese, Japanese, Koreans, etc. boots to maintain and enlarge our social status, wealth and power. To hell with the native majority who have nothing to offer, except maybe a begging hand. And by the way, we witness apathy among the Filipino majority, "the people", ang "taong masa" --native Malay majority who are deep in poverty and hunger and thus left behind, the poorest of the poor who can not afford to be OFWs-- because their essential human needs, i.e. food, shelter, clothing, etc. are unmet and they are busy struggling to simply and basically exist, not live as those of us who can access the Internet do. The ever-worsening reality of impoverishment we the so-called educated class and mainly self-confessed Christians/Catholics, ought to understand and do something about. Charity is good but towards mass education for nationalist consciousness with consequent nationalist decisions and actions is better for the long-term... Unless we want simply to keep the native majority ignorant through their illiterate existence and therefore be easily manipulated towards our selfish ends. So let us NOT blame "the people" for not understanding nor inaction. awful roar of its waters. but it must be a struggle. If the coming senatorial elections are our measure, politics in the Philippines are not confusing. Rather, they are a source of shame. There is nothing confusing about candidates shifting from party to party; it is just downright ugly. If they had not been doing this once too often, it can be very sad. Today, it is simply sickening.The reason why Filipinos did not take to the streets to pressure the removal of Gloria during the Hello Garci controversy is not that they believed her to be innocent. The fact is that a clear majority thought she lied and cheated, and that sentiment or conclusion has held true till today. Yet, even when she was most vulnerable, Filipinos chose to watch by the sidelines and opted not to make another people power revolution. I remember monitoring the events of early 2005 when allegations of jueteng payoffs hit the men in Gloria's family. I watched as the jueteng investigations picked up steam until a new bomb, the Hello Garci tapes, was dropped from nowhere to almost literally light up afire. I witnessed the eerie presidential silence following the airing of the tapes over the radio airwaves, except for a pathetic presidential spokesman falling all over himself trying, without knowing how, to diffuse a shocking scandal.The crescendo continued all the way to the San Carlos Seminary along EDSA when an NBI officer and an intelligence officer admitted tomaking the tapes available to political personalities. It was such a ripe moment for something dramatic to take place, maybe a rally that could turn to a popular revolution. I stayed glued to the television set, alert and determined not to miss what could be a historic event. Before midnight, however, I was jolted back to reality. Just when Ithought I would see a superior force brought down by its own rescued at the last moment. Many thought that Gloria crossed herrubicon when she survived the Hyatt 10 mass resignation. I believed otherwise, and keep pointing to that moment when two sons of a deposed president were covered live on television after leaving an ultra tense San Carlos Seminary saying that their father was ready to be installed president again. At that moment, I knew the fight was over, and that an embattled Gloria would survive, thanks to her own enemies. The Hello Garci controversy followed by the Hyatt 10 mass resignation showed that Filipinos were coming of age. Despite her unpopularity,despite the majority of Filipinos believing Gloria was guilty of lying and cheating, the people did not make an aggressive move to tip the delicate scales so that Gloria would fall. The maturity was not manifested by the Filipino's inaction, but the reason why he chose not to act. Two preceding successful people power revolutions showed what an exasperated citizenry can do to remove unwanted presidents. In June and July of 2005, the same citizenry decided not to repeat itself because they could not see and believe that the possible alternative leaderships that could ensue were not any better than what they were changing. For the first time, anger and frustration at a present leader was not enough to risk installing a new one who could be worse. The truth is that there was no clear leader who would take over in case Gloria resigned, or was removed. That plus the fact that the people had no one they could rally towards, and later install president. I know there was much disappointment not just from the consistent opponents of Gloria but from ordinary people as well. The disappointment ranged from Gloria's not having been removed to there being no one acceptable enough to take her place. One and a half years later, it is not surprising that Filipinos simply shrug their shoulders when senatorial candidates jockey for inclusion to the administration or opposition slate without any clear principles to protect or promote. Decisions for alliance have nothing to do with a vision, or a party platform; they have everything to do with advantage, with gaining more winnability. It is not very productive discussing the frailties of our traditional politicians. And the inclusion of fresh faces refer to a few young politicians with very old names. There are no exciting dreams, no inspiring visions, that are being offered to the people. Politics still, after all, have little to do with alternative ideas to a frustrated people. 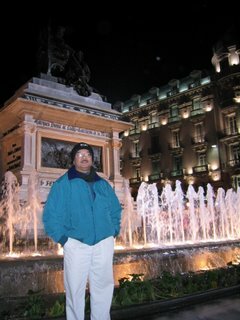 They remain very personalistic, very anchored on money and machinery. Filipinos will have to sit this one out again,hold on to their dreams by themselves once more. There are no knights in shining armor, not yet, not this time. When help is not forthcoming from the outside yet a painful situation has to be resolved, then Filipinos can look only to themselves. And while a personal transformation can begin a change of mindset and perspective, it is collective enlightening and concerted action that will usher in a new life to the nation. The urgent challenge to Filipinos, therefore, is to recognize, accept and be passionate over dreams that must be fulfilled. A society that has slid to being one of the world immoral will never be at peace until the glint of honor returns to their societal lives. Tolerance or patience has often been viewed as a virtue, but not so when we are tolerant to wrongdoing,when we are patient over exploitation. Thanks again for your supportive feedback. Just arrived from my backpacking in the Umbrian region of Italy. All the while also thinking of my next postings including this adventure. Traveling opens one's horizon because of contacts with another culture, people, etc. It is nice to know that my effort to make a difference in Filipino thinking, in however and whatever small way, is appreciated well; thus worthwhile to a few like you and useful to fellow Filipinos like you and others in the long run,IN our homeland. that's the problem with the likes of jose montelibano - always blaming anyone or anything for the misery of the filipino people !!!!!!!! why won't we just go and help in whatever little way we can to make our country better rather than finger pointing ???????????????????? Our government population policy which is practically imposed by Catholic Church on politicians exacerbates our problem of inadequate education of the masses who obviously lack the competence to chose good national leaders in the likes of Mahathir, Lee Kuan Yeow or Hugo Chavez. We are just too many Filipinos fighting for scarce resources. Thanks for the thoughtful feedback. I want to believe that Montelibano was referring mainly to the educated among the socioeconomic and political elites (who mostly belong to the same class (as Karl Marx would correctly say). Frankly, I feel hesitant to use the word "educated" among many of us who had formally attended school or university. I say so since our education, or more aptly "instruction," was primarily on getting into a profession and making a living -which is very important to be a productive and responsible person in society or family man in his adulthood. What we lack in our education are "instructions" on our responsibility to contribute as members of society as a whole, of a people with a common heritage, to do well beyond our own selves. And even so, such an education is not a guarantee of responsible and ethical behaviour. Do we need to inject "fear of God" to behave, to do good? Looks like "fear of God" has not been very effective in recent decades given that many of our rulers in the homeland, despite attending exclusive Catholic schools are no better than those from secular schools. Coming from a Catholic grade and high school myself, I wonder sometimes what went wrong. I got some ideas, but that would be another posting. Funny that I get to read this only tonight because a researcher wanted previous articles and Google produced this. Dante, I did not refer to the "educated," but maybe comments from Bert just before my article may have mislead you into thinking that I said. Anyway, for the record, the "educated" can be further categorized into several sections. The graduates from the premier schools like the Ateneo, UP, La Salle, and a few more have governed the Philippines in the last several decades, from before WWII. The cumulative results are what we are today as a people and nation. Make your own conclusions about what we are today and then rate the quality of the "elite" among the "educated" by the fruits of their labor. I do not read much. Most of what I know are from the results of life from the ground, and "ground" is a spectrum from the impoverished to Forbes Park. I move around more than I read, engaged in activities that bring me strategic information and guide me towards strategic insights. The running total of my experience and assessments lead me to agree with the comments of Bert which appear before my article and which you maynhave assumed were mine. This is too much of a generalization. I'll tell you the fact as regards to SOME Benguet farmers. One time, the local Mcdonalds branch came up to the farmers trying to make a deal with them. It's a win-win situation, as I see it. Mcdonalds will be getting all of their supplies from the local potato farmer. Win-win... the farmers will have a stable customer in the locality(rather than having problems how to bring these pototos elsewhere just to be sold). It's good for the business as it can have cost-efficiency, good for the farmers as they have stable customers and more income because we all know that Mcdonals is popular, good for the lcoalities economy as trade will flourish... But why did Mcdonalds back of? They found out that the water content of the potatoes they are planting is at a high 70% in contrast to the dieal 30%.. why is the water content of potato high? because in the vegetable pricing, the lower the quality, the higher the price! What can you say about the middle class drivers in Manila who overcharge their passengers? I agree wholeheartedly with you that the "manggogoyo" attitude exists in all classes. All of us may have experienced a demonstration of it in our lives. However, my point is to highlight the opportunism among those in the "educated elite" who are expected to think and act in ethical, moral and legal ways; who had the means to be instructed, educated, trained to live so. The impact to the greater society, i.e. the repercussions of unconscionable and illegal behaviours by these educated elite to our native majority/peoples, has led to and perpetuate the national predicament.